Editor’s Note: Bryant and Sarah Krieger’s son Fritz was diagnosed with Duchenne muscular dystrophy in February of this year. 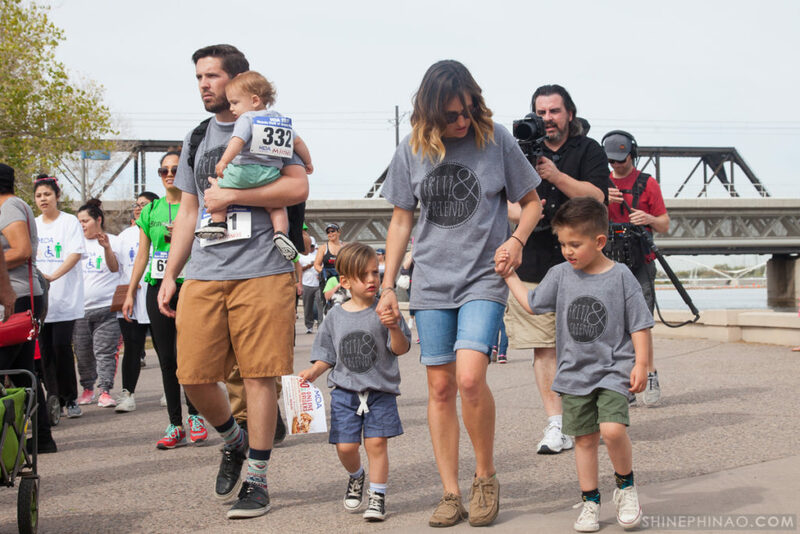 Less than a month later, their family, along with dozens of other supporters, were walking to bring strength to life at the Muscle Walk of Phoenix as part of Team Fritz & Friends. Here, on Fritz’s first birthday, Sarah allows us a glimpse inside her thoughts by sharing these emotional and moving entries from her journal. It chronicles a family’s journey from heartbreak to hope and a community who came together in support of them. It’s a story that will resound with many MDA families, and the Krieger’s optimism and hope for cures for their son and for others like him is what propels MDA to pursue its mission every day. Life right now. There are a lot of questions, and few answers. There is a lot of worry, and little peace of mind. Prayers are appreciated as we have begun a bit of a medical journey with Fritz. It’s been a concern of ours that he is a bit behind physically with a lack of crawling and an inability to pull to stand. I knew I wasn’t leaving his 9-month check-up without further research or resources to figure out what or if anything was going on. So after many rounds of blood work, an ultra sound, a visit to a GI specialists, more blood work, and echocardiogram and now an upcoming visit with the neurologist…we still have many questions and are anxiously awaiting answers. To be real here, my heart has never experienced such worry. In our home we often use the phrase “sharing is caring,” whether it be in regards to a bite of ice cream or a toy. But sharing is important to us. So I share this information about Fritz because sharing is caring. We care for him so deeply, and I know that when that fear train comes driving toward me, and I can’t escape the realities of being tied to the track, there are so many people who care for him and for our family. We need you. As we spend time processing the term “muscular dystrophy,” we are currently at a loss. We desire and hope for strength and for peace, for answers and knowledge. For patience, and a cure. These past weeks have just been the beginning to a life altering reality, and I feel like if I didn’t share, I’d be breaking one of our family rules. So there it is. The last several hours, days and weeks have been nothing short of emotional, busy, blurry and important to our family. The days run together like tears into snot. And even though I wake up each morning, I still feel like I’m in a dream. I’m processing and I’m numb. I cry tears of all kinds, and yet I still wonder if I’m actually feeling. There are joyous moments, paralleled with sorrow. We have questions but we also have hope. It’s confusing. We are confused. We are scared, but at the same time encouraged. Parallels. We’ve celebrated another year of life with one son, and mourned over what life will look like for another. I don’t know if I’ve ever been in such a place where such drastic emotions have been felt simultaneously, but maybe that’s why I feel nothing at all. I know eventually the newness will transform to the norm, but it hasn’t yet. It’s still new, and I’m still raw. The days of the past month all run together. They’ve been filled with parallels, with sickness and healing, heartache and joy, doctor’s appointments and more doctor’s appointments, doubt and hope, encouragement and derision, questions and answers. Large dark bags under red swollen eyes is currently my makeup of choice. The tears, however, are not always sad, but sometimes they are ones of shock, disbelief and joy. They flow when I pick up my phone and read texts full of kind words. Tears fall as I read through hand written letters from our mailbox. My eyes rain when people fill our home with food. Salty waves roll down my cheek when I get email after email after email updating me on a new donation to our Fritz and Friends team for the MDA Muscle Walk. As we mourn this new diagnosis we find so much encouragement in the people. Like for reals, we are completely blown away by the love and support shared and shown. As we take steps forward I still feel I’m still on a train track; however, I’m no longer laying bruised and lifeless from the blow of the train. I am up walking again. But rather than just balancing along one of the rails like one would typically do when they came across tracks, I feel like I’ve got my feet spread. With one foot on one rail, and the other foot across the way, on the parallel rail. And instead of slowly placing one foot in front of the other on one single rail, I find myself more tottering back in forth, like an old drunk that can’t see straight. It would probably be easier to just pick one rail to walk along, but I can’t. I’ve got joy, and I’ve got sorrow occurring simultaneously. Both emotions fill my soul and I find myself doing more tottering than balancing. I’m stretched, tired and left wondering if one day I’ll wake from this crazy dream and be back to balancing on just one of the rails, because that alone is difficult enough in itself. But in the meantime, regardless of how we move from one day to the next, we do keep moving. Because our movement leads to progress. Each step, each hour, day and week we process more, pray more, accept more, learn more, and hope more. After our official diagnosis appointment, I can very vividly remember meeting a lovely lady from the MDA Care Center. She assured us that they were there to help in any way possible. She knew our heads busy processing lots of information so she didn’t want to overwhelm us with too much more (I recall appreciating that very much). She simply handed us one sheet of paper about an upcoming Muscle Walk. We didn’t really know what this was or what it meant, but knowing so many people wanted to help, I decided to go online and check it out. Within a few minutes I created a team and then shared the info on social media. I woke up the next morning in shock. Our team and money raised exploded over night. We started this team to give our community a tangible way to help, and our community made it known clearly and quickly that they were all in and ready to fight alongside us. The Muscle Walk was just the first step into a long and uncertain journey that’s definitely longer and more difficult than a lap around a lake. We have so much hope knowing though that we didn’t walk alone that day. We informed our team that we would not be bringing a stroller for Fritz. We wanted members of our team to help us carry him, because that’s what their support in this walk had done. They carried us. They carried us in the unknown days, in the diagnosis days, and still into this day. That day was special because it was a true representation of the power of community. The Muscle Walk shifted our thinking from “I can’t” to “We can.” That day gave us hope, and much needed encouragement. The Muscle Walk reminded us that people do care, people want to help, and that we are not alone. The Muscle Walk was just the beginning. 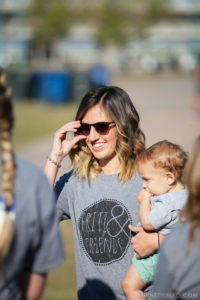 We are still walking, with the help of our community, and will keep walking till we find cure, for Fritz, and for all those with muscular dystrophy. 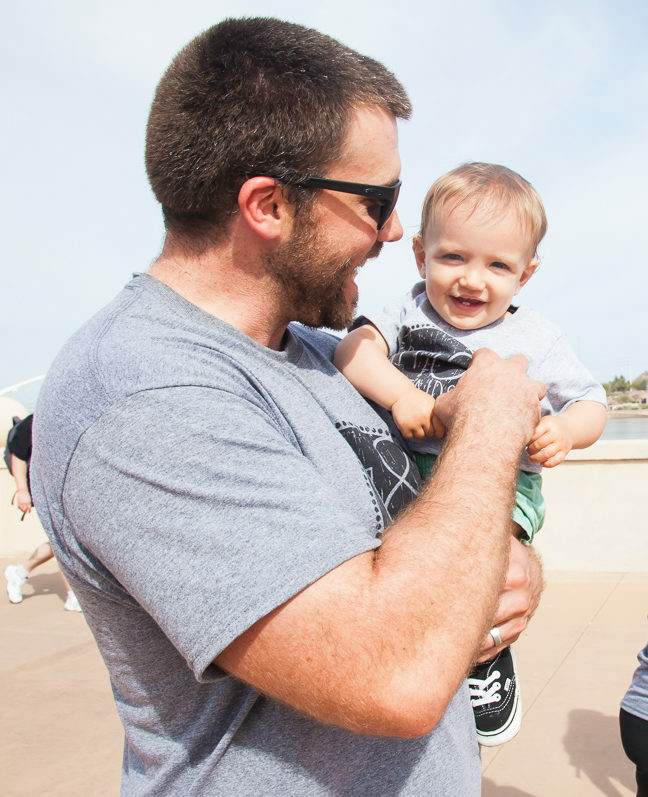 Bring Strength to Life for Families like the Kriegers!